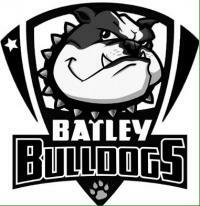 BATLEY er make that centre of the Universe! WHAT! Dewsbury have a game on Friday!! Not if the ref can sin bin your player during the tackle for a clash of heads! That was dreadful, we started with an intensity pushing them back in every tackle, and then... Nowt, absolutely nowt. As an established championship club we should comfortably beat any championship one club. I could understand if we'd played fringe players or those out of form, but we don't have that excuse! I think today proved one thing to me we are a championship one team, and not a good one at that! That was as dull a 40 mins as I've seen in a long time,! Hmm you say every player BB, Smeaton conceded two tries by my reckoning. Having said that a great performance by the rest..
38.... OMG! And I thought you were too old for T&P on Monday night's Marc ? Beat Cas one week and then get whalloped by KR! Don't make sense this game! !